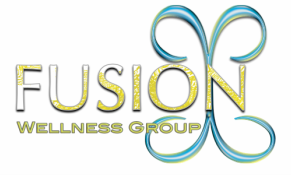 Face 2 Face - Fusion Wellness Group Compassion. Connection. Commitment. Moving to Educate & Integrate! Our Face 2 Face Program are 1:1 therapeutic sessions that provide an individualized program to meet our clients needs. We work with children and adults in this program; from special needs to depression. Each session is customized for every clients need, offering a holistic approach to healing from the inside out. Is your child suffering from developmental delays, severe trauma or has trouble focusing? If so, you are in the right place! We pride ourselves on creating a personalized plan for each and every child. Our programs are customized with family history, personal background, and current needs for your child. We focus on a child's foundational skills and integrating primitive reflexes. All of our sessions with your child (or children) occur in a safe and playful environment. Our sessions are non-invasive and super fun for kids!! Along with sessions, we also offer parent training so your family has the same tools at home and your child is surrounded by a family environment that supports their personal growth. This is movement-based therapy, easy to learn and implement in any environment!!! Our children react to our emotions and energies as parents, therefore with this additional training they have consistency in all aspects of their life and you do too!! Increase your knowledge and tools while your child continues to grow, call us for your FREE phone consultation! Are you having trouble sleeping, feeling anxious or depressed? Have you tried all of the medications and your life still feels unbalanced? If you are looking for a holistic approach that helps you achieve personal balance, you have found the right place. We offer innovative, alternative therapies that work through the root of the issue, from the inside out. By focusing on balancing the central nervous system and the connections from the body to the brain, our wellness coaches can help facilitate & achieve your personal goals. Your one to one sessions are created and based around your personal needs and goals for your present & future. An easy, non-invasive session built around a 5-step balance concept is the ideal setting for continued growth and personal integration. Schedule a FREE phone consultation today to take the first step toward a happier, healthier and more fulfilled life!! !